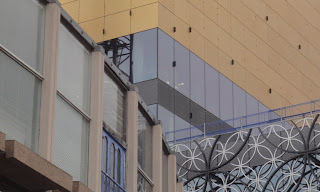 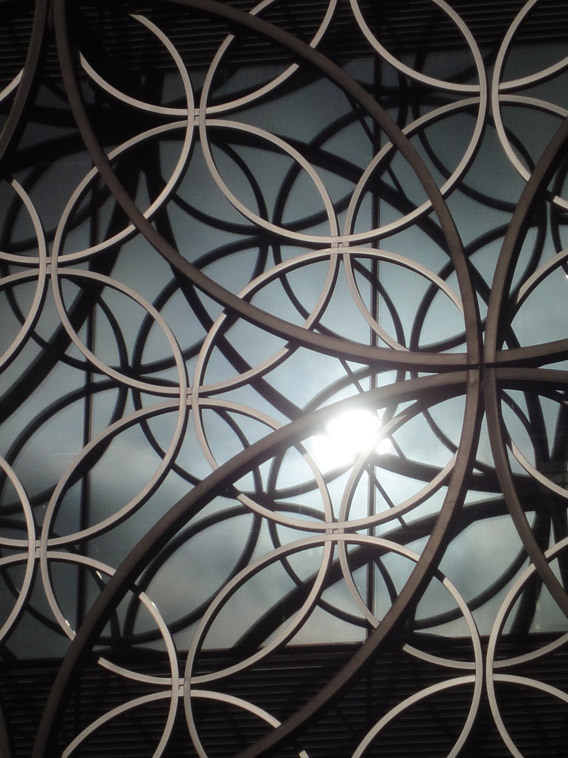 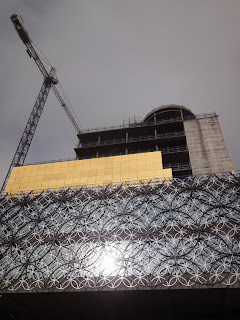 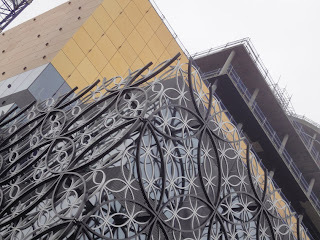 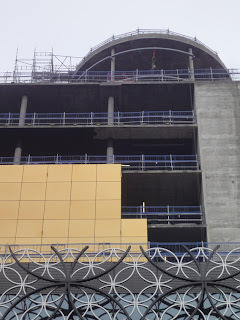 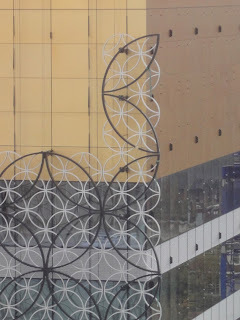 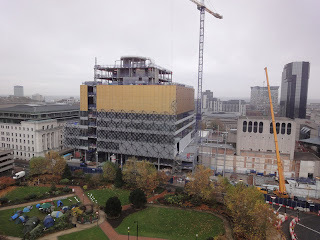 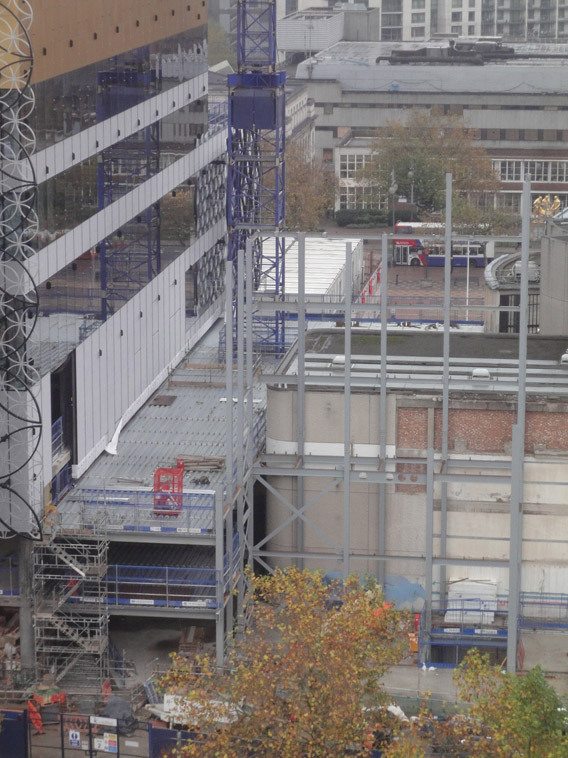 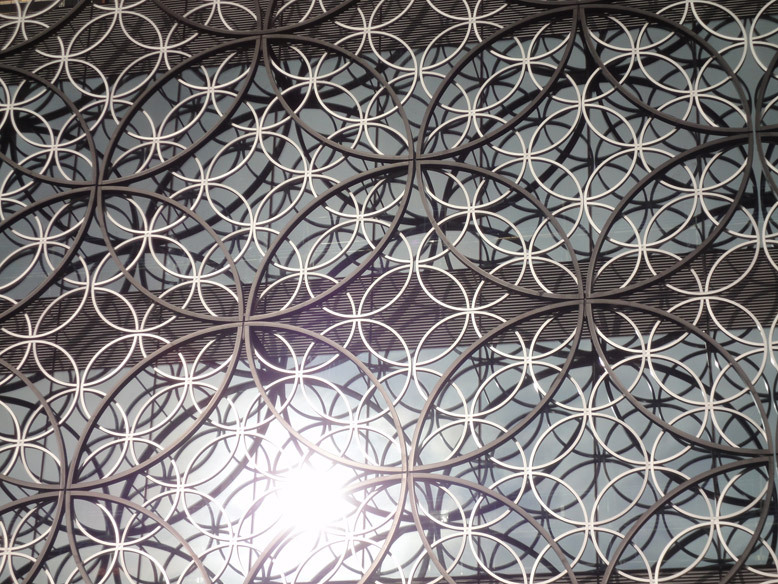 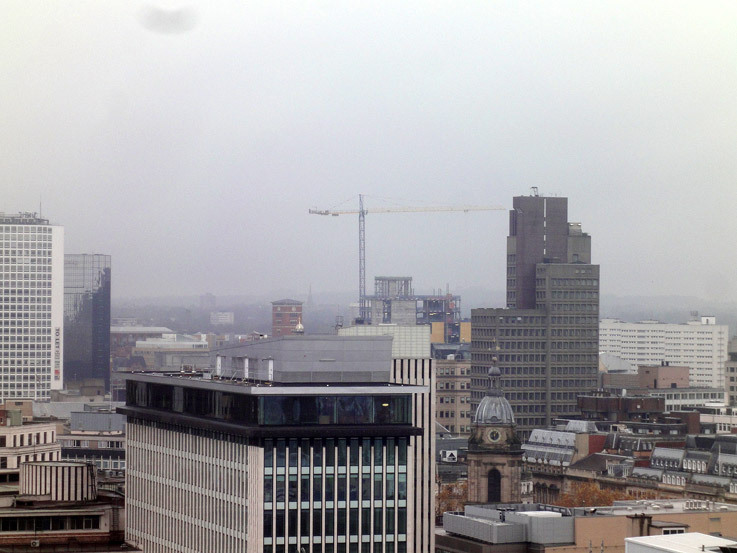 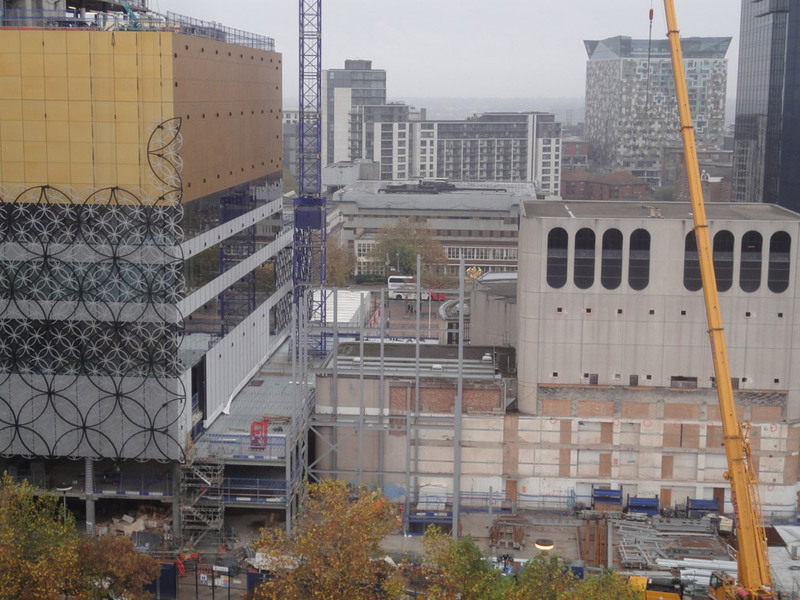 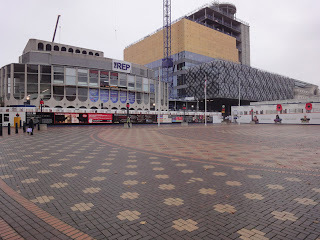 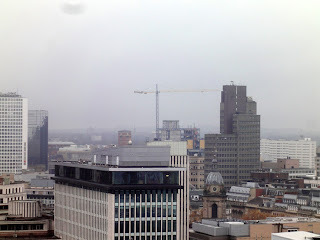 As work enters week 97 of 165, the gold cladding on the new Library of Birmingham has now risen to enclose the archive level as glazing reaches the highest floors and steelwork is rapidly rising on the REP extension to the rear. 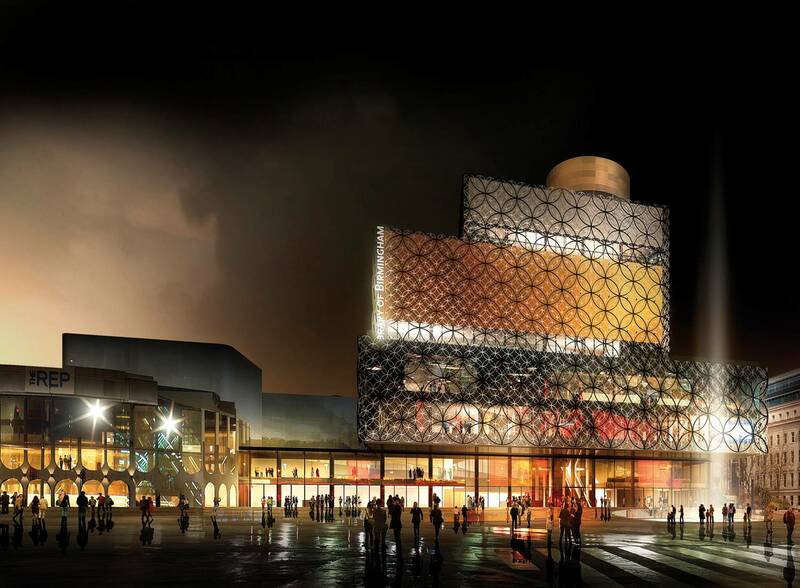 Renders of how the completed library will look, reproduced from City Council LSC O&S Committee meeting of the 9th November. 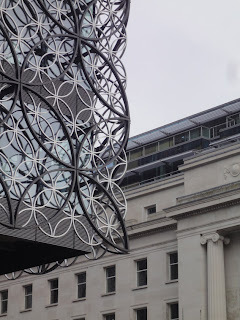 * E-books: Facilitate e-book lending, sharing and publishing/ RFID and others to connect physical offer with digital offer. 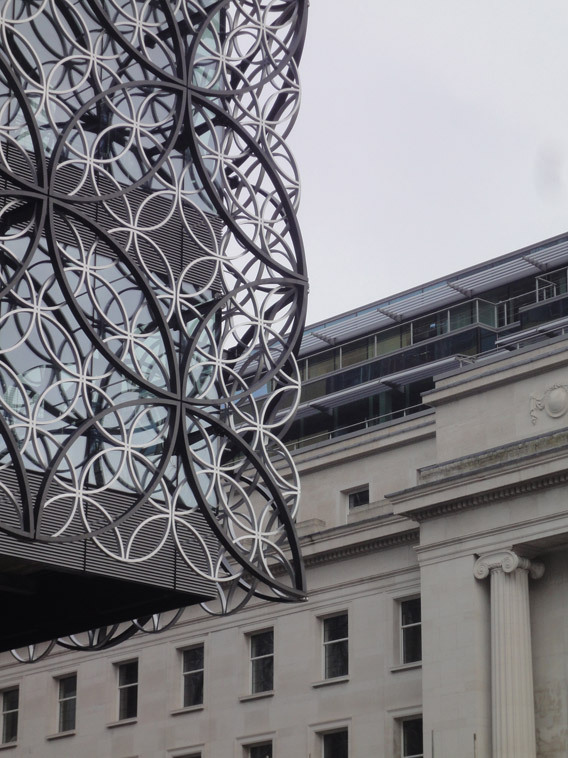 * E-Staff: Transforming LoB staff facilitation skills into digital interfaces. Online forms, aggregated online content, live chat, interactive Q&As. 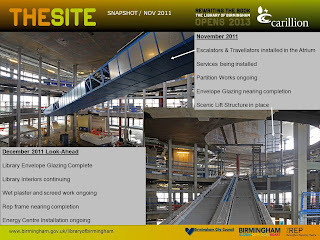 * LoB events online: Extending event experience – pre, during & post. Interactive content i.e. 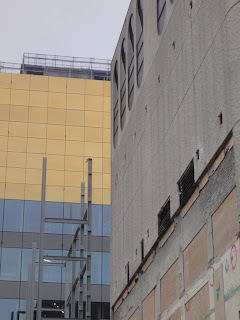 audio & video. 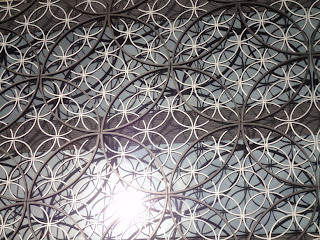 Web/mobile predominantly. 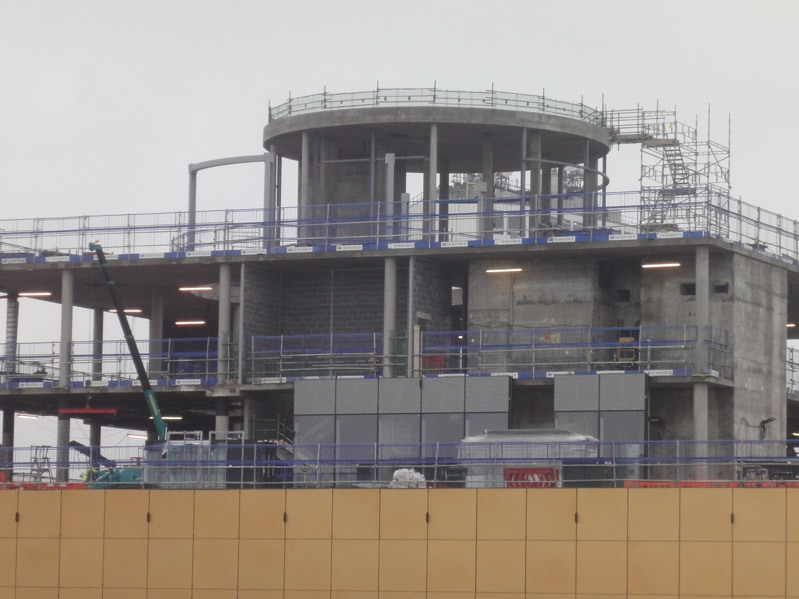 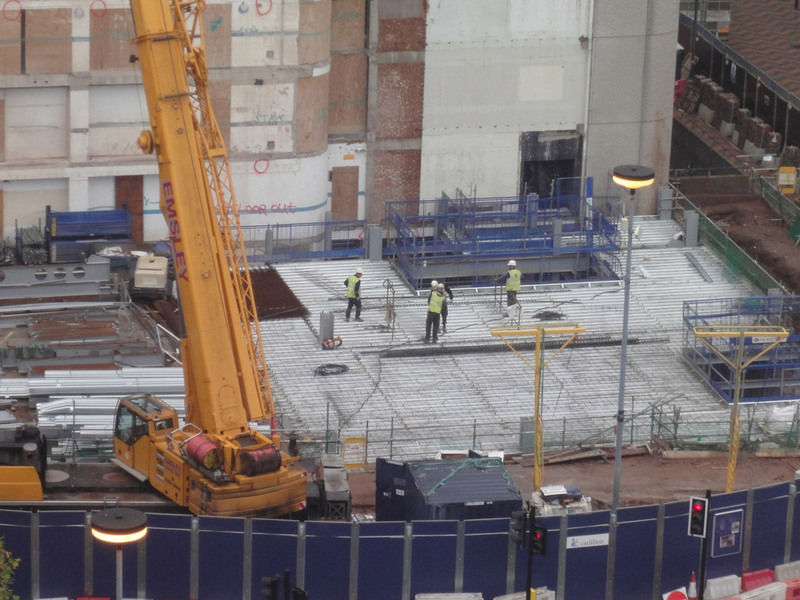 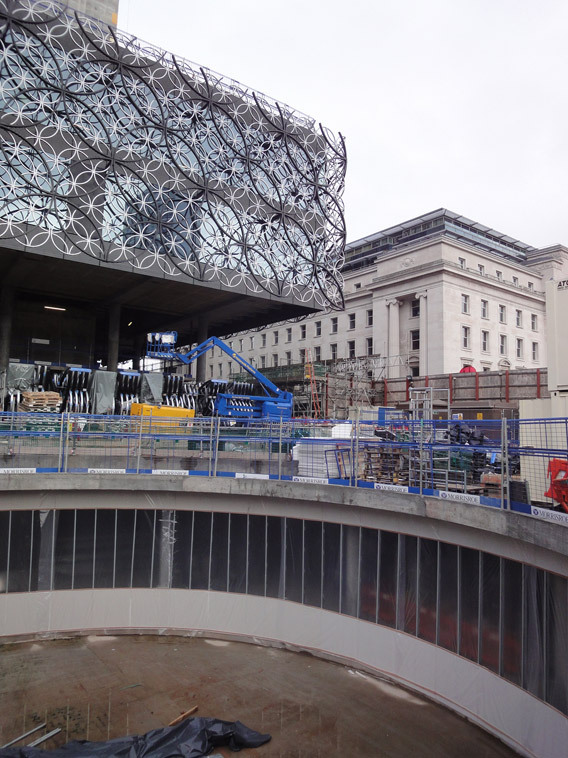 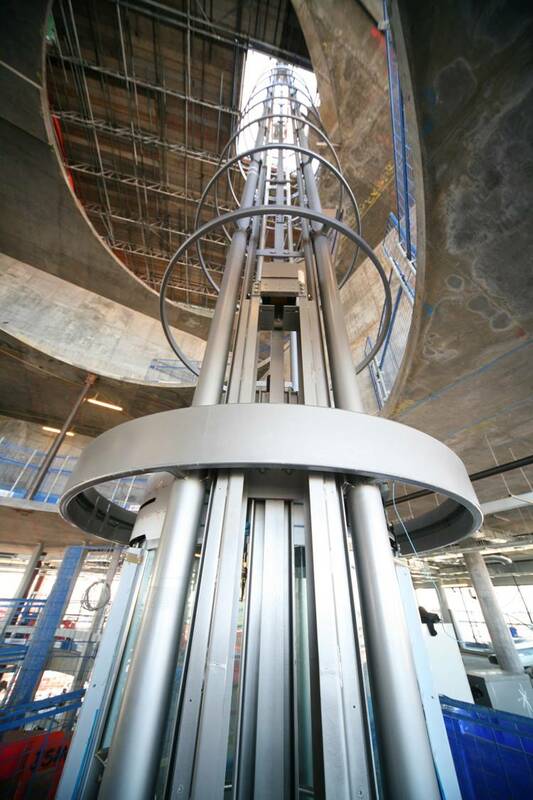 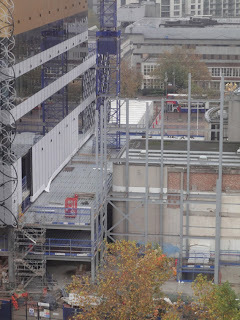 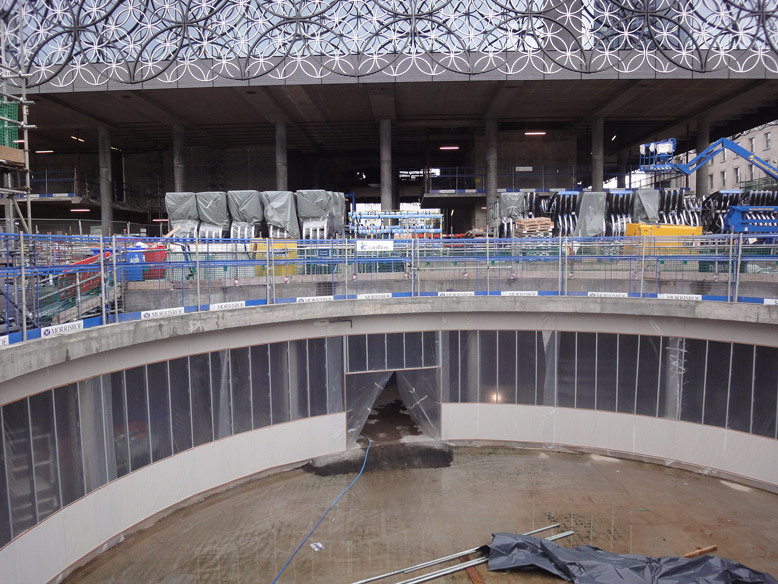 The update from contractors Carillion, below, shows the installation of travellators and escalators before the building is sealed in glass and cladding. 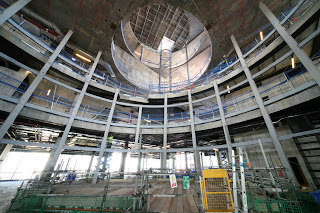 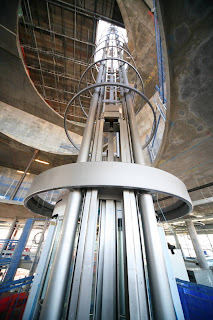 Photos of internal progress, from the City Council LSC O&S Committee meeting of the 9th November, below, show the installation of a 'scenic' lift and the book rotunda. 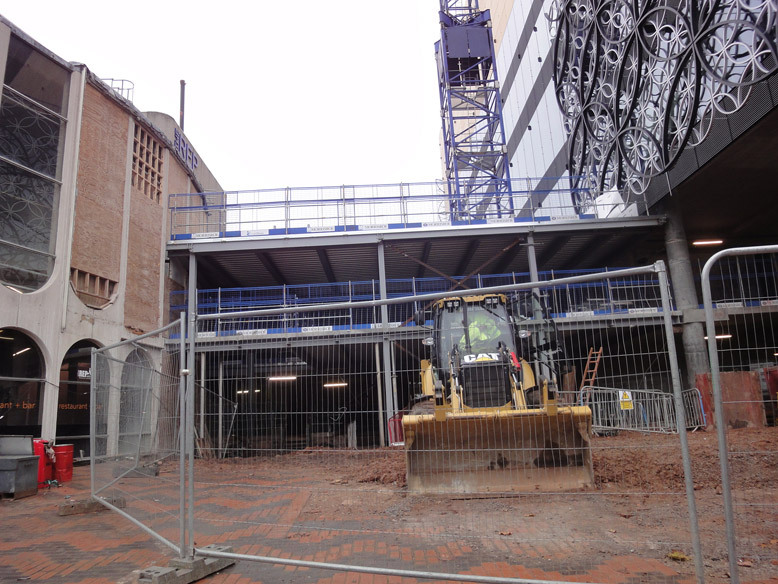 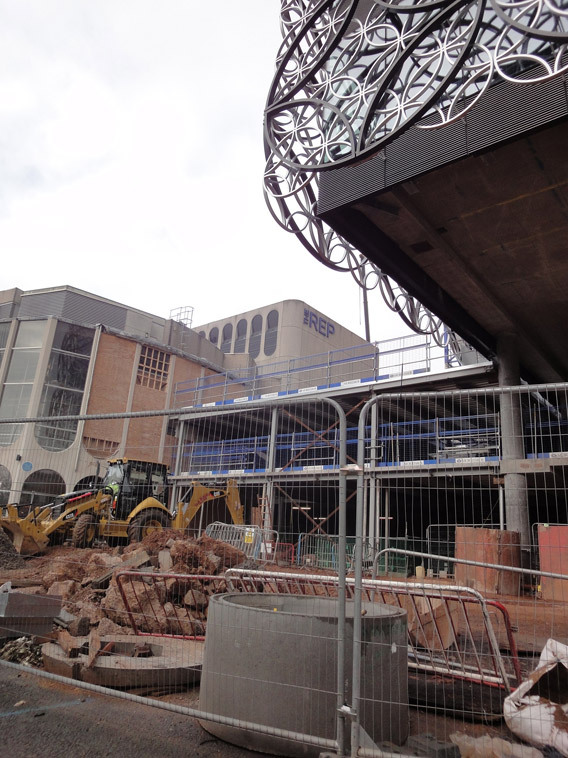 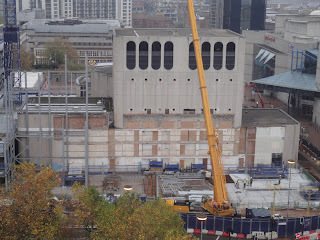 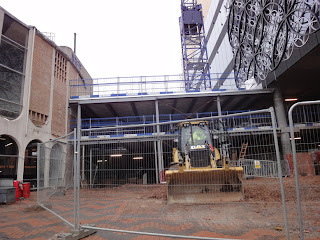 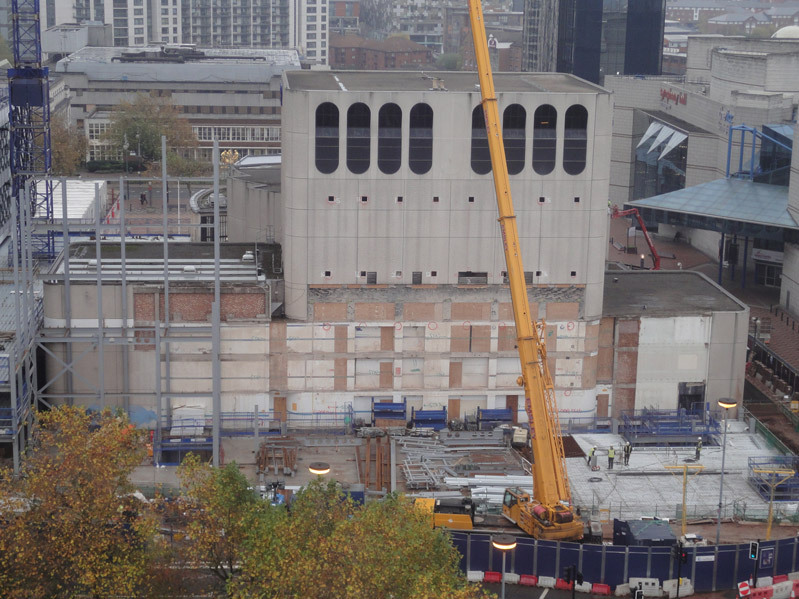 The photos below show progress on construction from 9th November.